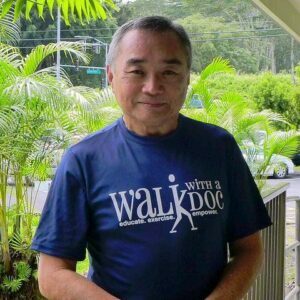 Walk With a Doc Hawaii Island has been walking every Sunday since May 18, 2014 and as of this writing we have registered over 750 walkers. Students from the John A. Burns School of Medicine and the Daniel K. Inouye College of Pharmacy, resident physicians from the Family Practice Residency Program and community doctors start each event with a short medical talk followed by a brief and easy warm up and stretch session. 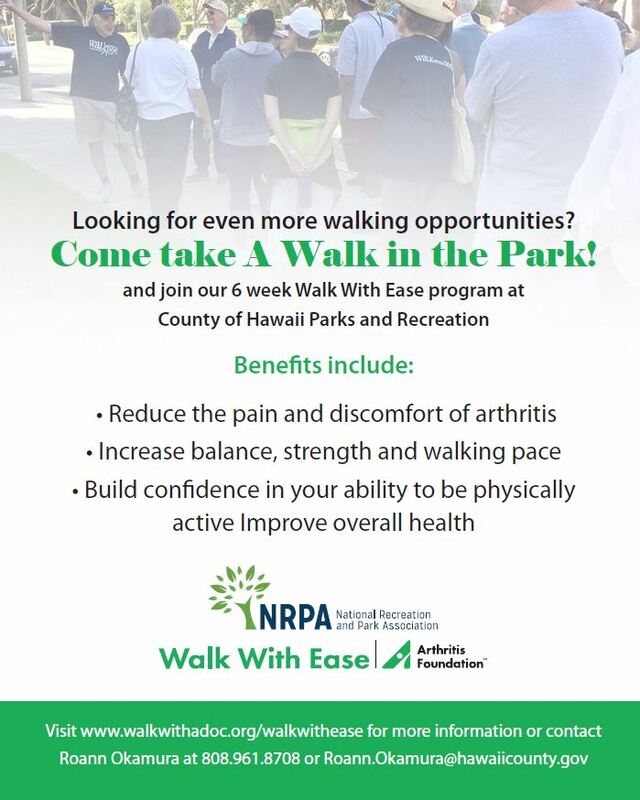 Then everyone grabs a bottle of water provided by HMSA and starts walking around Liliuokalani Garden for about one hour. You can walk fast or slow, alone or with friends, it’s up to you! We do ask you to check with your doctor first if you are very overweight, have a heart condition or joint problems in your legs but walking is low impact and most everyone can benefit. You don’t need any special equipment, just a pair of comfortable shoes.